Apple is rolling out an update to the Apple music app today. The Apple music was debuted with a restricted support to the iOS 8.4 in Q2 of 2015. Later in Q4 of 2015, the support was extended to the Apple TV and the Android OS. With the availability on both platforms, the app has been a bliss to the iOS and Android community as well, and especially for those who double-dip Android and iOS platforms. Over these years, we have seen the Cupertino bring a ton of changes to the music app viz. addition of the app widget, better playlist management, music video support etc. Similarly, this update takes the app to a newer version 2.0 with some revamped changes to the UI(User Interface). The APK is now live, and you can grab it from the downloads section below. 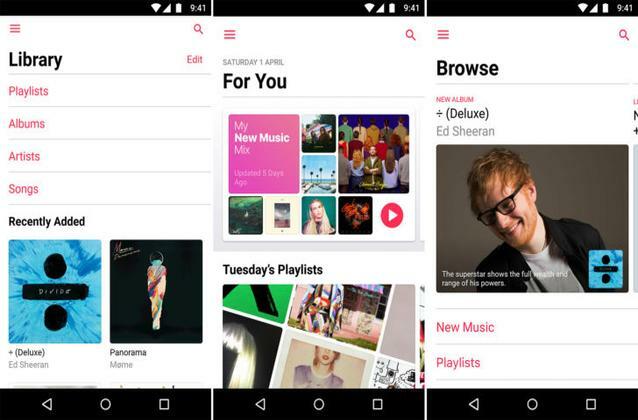 Some of the known features include- you can now read the lyrics for songs you listen, a newer design adds more clarity and simplicity to the music app, you now get recommendations for the playlists, albums based on the music you love and much more. The full changelog is given below. An all-new design brings greater clarity and simplicity to Apple Music. Read lyrics for songs as you listen. Navigate your music easily and see the Downloaded Music you can play offline. Get recommendations for playlists, albums, and more—based on the music you love. Browse, Listen to new music first, plus playlists for any mood or activity. Radio. Tune into Beats 1 shows or listen to stations for any genre. 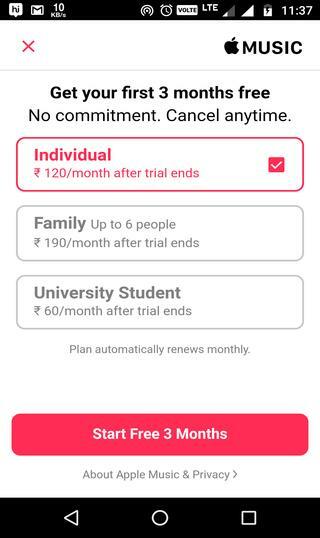 The Apple Music app provides with three types of membership plans, namely- the individual plan that costs $9.99/RS.120 per month, Family plan up to 6 members that cost RS. 190 per month and the University Student plan that cost RS 60 per month. However, you can enjoy a three-month free trial for new users if you want to check it out. 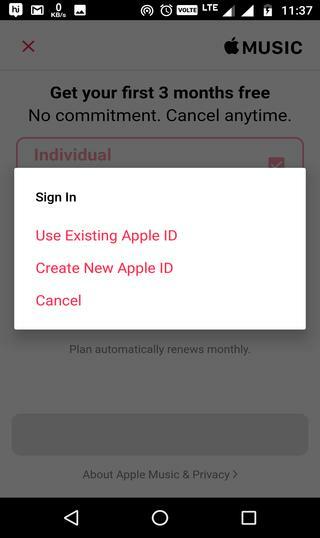 Just the thing you need to have is an Apple ID in order to use it. The screenshots below will give you a better picture. The app comes as an APK file, so you can download and install it directly on your android device. 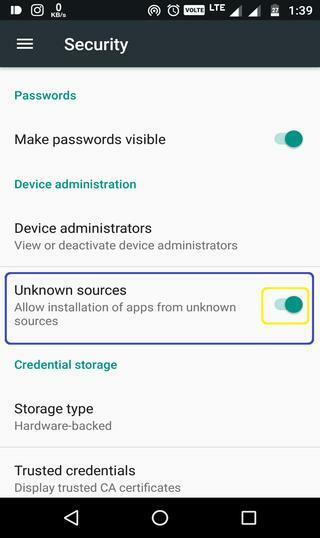 Just make sure you enable the installation of apps from unknown sources. To do so, go to the Settings> Security> Unknown sources> Enable it. The file weighs around 35.5MB and you can grab it either from the play store here or with the direct download link given below. 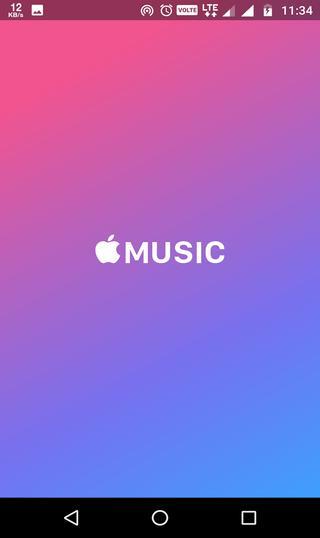 So, do you like the Apple music app already? Give it a try. If you have any issues with the download links or installation of the app, reach out to us via the comments section below. Also, share your experience with us.